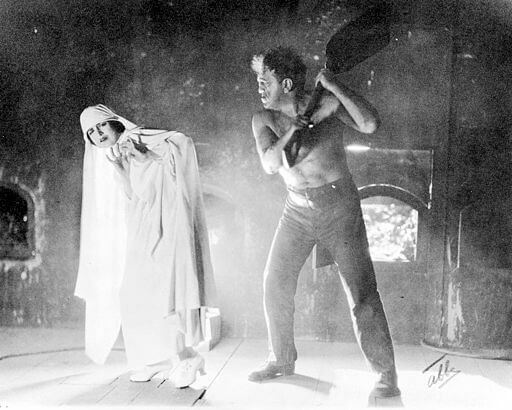 The Hairy Ape (1922) is O'Neill's expressionist play with the lead character an antagonist named Yank. He's a brutish, unthinking laborer who has to find his place in the world controlled by the rich. O'Neill offers a dramatic portrayal of a regular man who gets beaten down by industrialization and an oppressive social class. Pictured is O'Neill's future wife, Carlotta Monterey, starring in a production at the Plymouth Theater (1922).